United Nations High Commission for Refugees that is what UNHCR stands for, and here is a tarp for the locals to use. 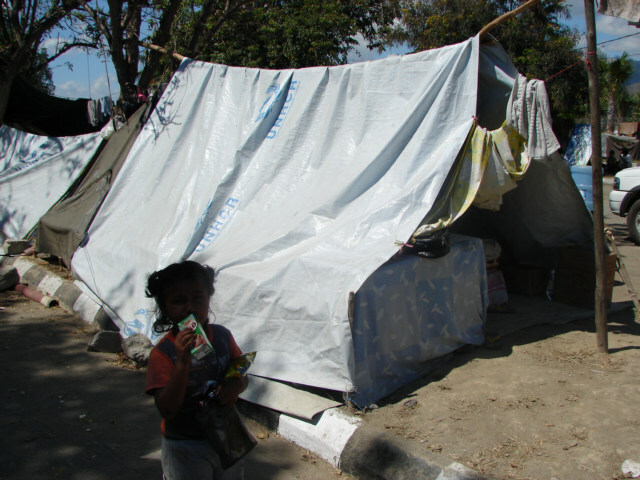 This is a large plastic tarp with the UNHCR logo on them; I took this photo around the airport area of East Timor. I did not see them anywhere else in East Timor. I was just thinking that tarps are good thing to send. Presently the numbers of tents are decreasing daily.